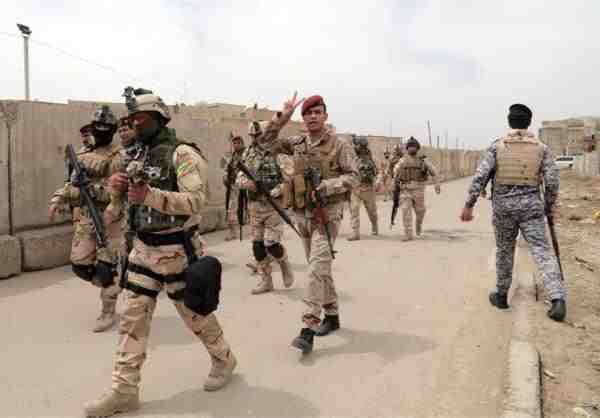 JNN 21 Jan 2015 Baghdad : The Ministry of Defense announced Wednesday, that the security forces have regained control over the entire area of al-Harariyat in Anbar province. The statement added that the an engineering battalion from the rapid intervention forces have lifted and deactivated more than 300 explosives from the Harariyat factories’ area in al-Karma. On Sunday, a security source in Anbar province said, that the Iraqi forces killed 60 ISIS elements including a key leader within the group during an operation in al-Anbar province. “The security forces liberated the areas of al-Allus and Albu Hayat,” Kazim added. Security authorities in Iraq say at least nine people have been killed in two separate bomb attacks targeting crowded commercial districts around the capital, Baghdad. Police officials, speaking on condition of anonymity, said four people were killed and 14 others wounded when a bomb went off in a vegetable wholesale market in a village near the city of Iskandariya, located 50 kilometers (30 miles) south of Baghdad, on Saturday morning. Another bomb blast targeting an outdoor market also killed five people and wounded 14 others in the city of Sabaa al-Bour, located approximately 28 kilometers (18 miles) northwest of Baghdad, later in the day. There was no immediate claim of responsibility for the attacks. However, Usually such attacks are claimed by the Takfiri ISIL terrorists. On Friday, at least nine people lost their lives in a spate of bombings and mortar attacks ripping through Baghdad. Iraq’s overall security situation has worsened over the past few months as the ISIL terrorists, of whom many are foreign nationals, have taken control of some parts of Iraq’s northern and western regions. They have been committing heinous crimes in the captured areas, including mass executions and beheadings. This entry was posted in Middle East and tagged Al Allus, Al Harariyat, Albu Hayat, Anbar, Anbar Province, Baghdad, Iraq, ISIL, ISIS, security forces. Bookmark the permalink. ← 49 Corruption Suspects brought Back to China from 17 countries, including US, UK and Canada.